“I have been a practicing artist since 1985. In the early days I was more focused on fine art but have since been more concerned with a three dimensional aspect to my work. I have exhibited widely throughout Australia, particularly NSW and SA, my principal places of residence. With over twenty solo exhibitions and over 50 group exhibitions. Owner of two galleries, artist residencies here and overseas. I have certainly put myself ‘out there’. 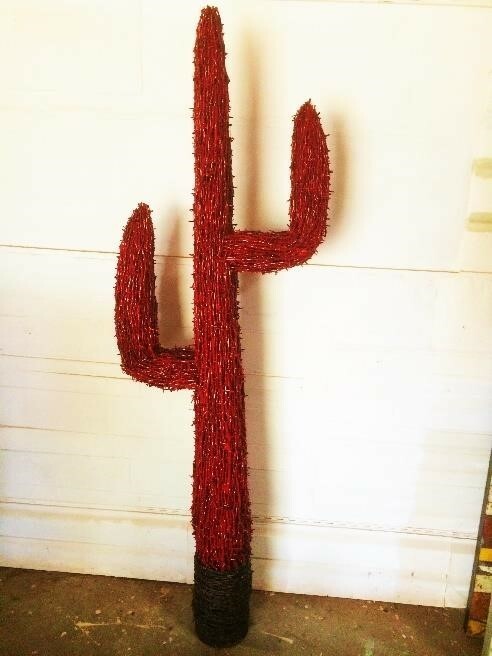 I have done this purely because I feel comfortable making art.” ‘Red Cactus’ is a steel framed Armitage with a barbed wire base making up the inner ‘bones’ of this work. Small lengths of the boxthorn bush are then ‘knitted’ into the Armitage to form a life – like texture that simulates the Thorny appearance of a cactus plant. Red paint has been added not only to give the work a theatrical lift, but also to protect it from the elements. Boxthorn was originally brought out to this country by the early white settlers and was used mainly for hedges (much like the dreaded Privet). Of course, like a lot of these introduced flora, left unmanaged, it soon became another noxious weed. 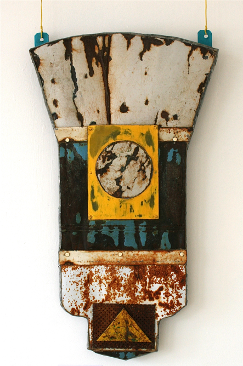 Peter McGlinchey exhibited new work at Broken Hill Art Exchange's STUDIO 3 Gallery between the 12th and 25th September 2010. 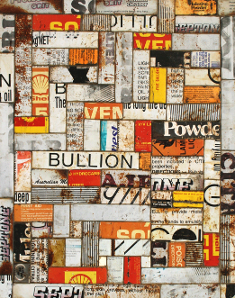 His exhibition titled 'Don't Sweat the Small Stuff' was a collection of art works made from found object. This exhibition mainly exists of found object over the past 6 months. There is no general theme, just whatever came into mind at a given time and the material that was available determined what was to be made. The reason I decided to call this exhibition 'Don't Sweat the Small Stuff' was because, like several creative people I know, there's times in our careers when we wonder what is it all about - are we on the right track. But to be honest, how does one define right from wrong, good from bad. I guess to me, the act of creating means much more than the finished product or any praise or criticism it may bring. So hence the exhibition title - Don't Sweat the Small Stuff - Just do it!